The Maldives is not on the agenda of the Commonwealth Ministerial Action Group (CMAG) despite “efforts made by some of the most powerful countries in the Commonwealth to place the Maldives on the group’s agenda and harm the nation,” the foreign ministry has said. 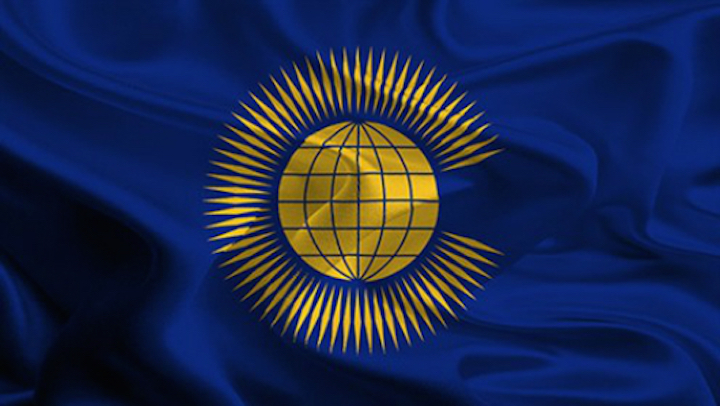 Some Commonwealth members have been pushing for the Commonwealth’s human rights and democracy arm to assess alleged violations of the organisation’s principles by the Maldives following the imprisonment of opposition politicians, including former President Mohamed Nasheed. “Minister of Foreign Affairs Ms Dunya Maumoon gave a briefing to the CMAG Ministers today about the political situation in the Maldives and reiterated that there is no serious or persistent violation of Commonwealth political values in the Maldives,” the foreign ministry said in a statement yesterday. It added that Dunya also stressed “the progress that the government has achieved in defusing political tensions in the country” and assured the Maldives’ commitment to “constructively engage with the Commonwealth”. Signs of an end to a six-month long political crisis are emerging. Nasheed was transferred to house arrest in late June after the opposition backed a constitutional amendment to allow President Abdulla Yameen to replace his deputy. At a second meeting between representatives of the government and the main opposition Maldivian Democratic Party last night, home minister Umar Naseer said the government is open to exploring avenues to release jailed politicians and withdraw charges against opposition supporters. 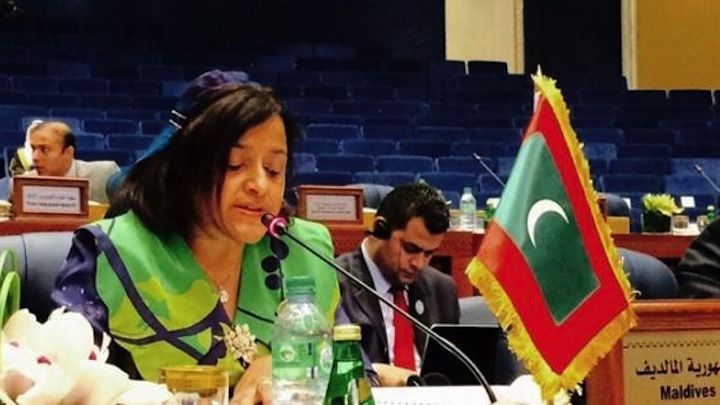 Foreign minister Dunya said last week that the Maldives “will seriously consider its membership in the Commonwealth” if the country is placed on the CMAG agenda for a second time. The UN special rapporteur on Iran also said that the group will convene again after the UN working group on arbitrary detention declares Nasheed’s imprisonment unlawful. The opposition leader was found guilty of terrorism in March over the military’s detention of a judge during his tenure. The 19-day terrorism trial was criticised by foreign governments, the UN, and international human rights organisations over its apparent lack of due process. 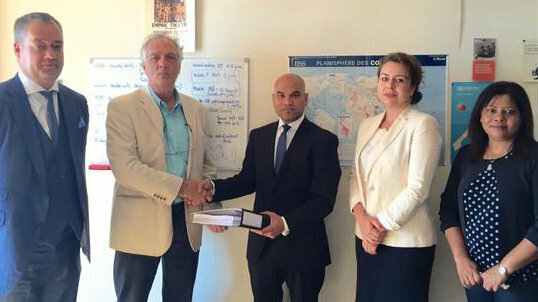 The former president’s international legal team filed a petition at the UN working group in late April. The government has been asked to respond before the first week of July. In a conversation last week with Commonwealth’s secretary general Kamalesh Sharma, Dunya said there are no serious violations in the Maldives and criticised Sharma’s alleged failure to follow due process before considering action. “Having to leave the Commonwealth for not abiding by its principles only isolate the Maldives from the rest of the world. And it will not be very healthy for the Maldives, but detrimental,” said MP Imthiyaz Fahmy. The Maldives was placed on the CMAG agenda from March 2012 – March 2013 after President Nasheed resigned in the wake of a violent police and military mutiny. He later alleged he had been ousted in a coup d’état. But a Commonwealth-backed inquiry found the transfer of power to be constitutional. 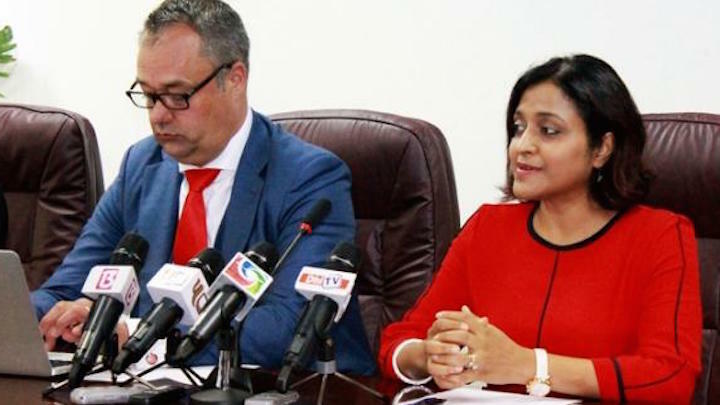 The Maldives was previously placed on the CMAG’s agenda “on an unfair basis, based on false allegations, and the country’s economy and democratic governance suffered significantly as a result,” Dunya said. She also said Sharma had not raised questions over violations in the Maldives, or extended assistance for redress as required by the Commonwealth’s rules. 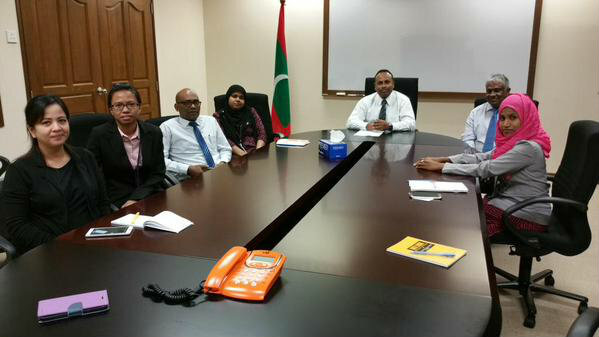 Dunya urged Sharma to take note of the positive changes in the Maldives in the last few weeks. She also accused Canada of exerting undue influence in the Commonwealth as a donor country. The government has assured its commitment to “constructive engagement” with international partners and “structured political dialogue” with opposition parties in a conciliatory shift in policy. “This commitment to dialogue and cooperation with the international community is reflected in the government’s desire to foster strong and constructive relations with the opposition political parties in the Maldives,” the foreign ministry said. The government had initially reacted to international criticism of Nasheed’s prosecution by dismissing statements expressing concern with the terrorism trial as “biased” and alleging undue interference in domestic affairs. In April, President Abdulla Yameen urged the armed forces to defend his administration claiming international pressure is undermining the Maldives’ sovereignty and weakening the rule of law. The arrest of former President Nasheed and ex-defence minister Mohamed Nazim in February and the pair’s subsequent imprisonment on terrorism and weapons smuggling charges, respectively, triggered a political crisis with daily protests, mass anti-government demonstrations and hundreds of arrests. Yesterday’s statement noted that President Yameen has asked UN secretary general Ban Ki-moon to send a team to the Maldives to help resolve the crisis. “President Yameen reiterated his pledge to ensure that a process of structured political dialogue with the opposition parties is realised,” the foreign ministry said. International pressure has been mounting on the government in recent months to release “political prisoners.” Nasheed’s transfer to house arrest this week appears to be a step towards political reconciliation. In April, the European parliament adopted a resolution calling for Nasheed’s release while earlier this month Senators John McCain and Jack Reed urged the US government to press for the opposition leader’s release. UK Prime Minister David Cameron became the first head of government to call for Nasheed’s release yesterday. In a tweet this afternoon, the foreign ministry said that minister Dunya spoke with UK Minister of State at the Foreign and Commonwealth Office, Hugo Swire, today and offered updates on the Maldives’ situation. “She noted that there are no political prisoners in the Maldives,” the foreign ministry said. Jailed opposition politicians were convicted of criminal offences, he said. According to the foreign ministry, the president assured Ban Ki-moon that the government was ready to engage in talks with Nasheed’s Maldivian Democratic Party. The foreign ministry said yesterday that the government “considers its obligations towards legislative, constitutional and judicial reform as an integral part of its development plans”. “As is the case for every state, successful and far-reaching reform takes time. This is especially true in a small state with limited resources; however, the Government remains committed to sustaining and building on the current rate of progress that has already been achieved in the Maldives,” the foreign ministry said. The human rights organisation had released a briefing report titled ‘Assault on civil and political rights’ after a fact-finding mission in the Maldives from April 17 to 22. 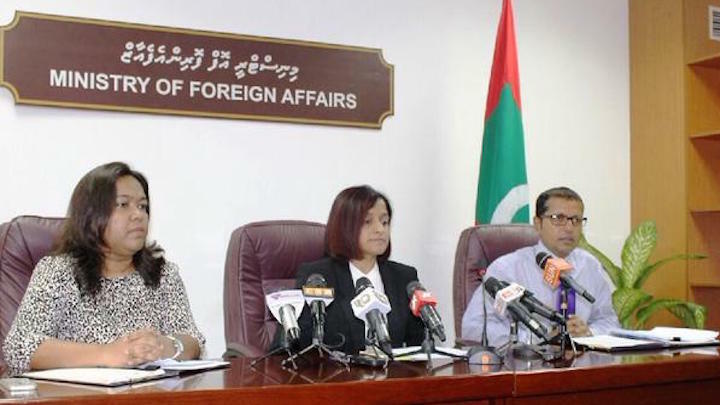 At a press conference today, foreign minister Dunya Maumoon said the government was concerned with the Amnesty delegation’s decision in April to meet with only officials and supporters of the opposition party. Amnesty International’s Maldives researcher, Abbas Faiz, told Minivan News at the time the government was informed on April 2 of the visit planned for later in the month. “The government suggested that we delay the visit until mid or end of May to better facilitate requested meetings with the authorities,” he said. The foreign ministry has since arranged meetings with high-level officials for the Amnesty International team in the Maldives from June 23 to 26. Dunya said the government will cooperate with Amnesty International and address its concerns despite the organisation previously spreading “falsehoods” about the Maldives. “The government reiterates the importance of constructive engagement to avoid one-sided reporting that would tarnish Maldives’ reputation without grounds and affect the stability, development and democratic progress made in the country,” the foreign ministry said in a statement today. The Maldives is “still a young democracy”, it added, and stressed the government’s commitment to legislative and constitutional reforms. “The government of Maldives expects international partners to recognise the progress made and values collaboration based on constructive engagement so long as any such work does not seek to create division within the Maldivian society,” the foreign ministry said. In its briefing report, Amnesty had said that the government was cracking down on peaceful protests, stifling dissent, and “abusing the judicial system” to imprison opposition politicians. “We have highlighted the cases of individuals regardless of their party affiliation. We urge the authorities to address the violations documented in our reports, including the serious breaches of fair trial standards,” he said. Amnesty had called the conviction of former President Nasheed on terrorism charges in March “a travesty of justice.” The 19-day trial was widely criticised by foreign governments and the UN over its apparent lack of due process. The European parliament in April adopted a resolution condemning the “serious irregularities” of Nasheed’s terrorism trial while US secretary of state John Kerry said during a visit to Sri Lanka that the opposition leader was “imprisoned without due process”. “This is an injustice that needs to be addressed soon,” he said. Earlier this month, US senators John McCain and Jack Reed urged their government to press for the release of all political prisoners in the Maldives. A Supreme Court judgment that bars the human rights watchdog from communicating with foreign organization without oversight “clearly stresses” the commission’s independence, the Maldivian foreign ministry has said. The 11-point guideline issued by the apex court, in a ruling that also found the a human rights assessment submitted by the watchdog to the UN unlawful, simply prescribes how the Human Rights Commission of the Maldives should operate within the law, the ministry said. UN rights experts, the main opposition Maldivian Democratic Party (MDP) and civil society groups have denounced the guideline as one that restricts the HRCM’s work and its right to share information freely with the UN. The guideline was issued under controversial suomoto regulations that allow the Supreme Court to prosecute and pass judgment. Point 7 of the guideline orders the commission to ensure “full cooperation” from other state institutions, while point 8 says the HRCM must communicate with foreign bodies according to procedures set by the state and through the relevant state institution. Zeid Ra’ad Al Hussein, the UN high commissioner for human rights, said the verdict was “completely unacceptable.” The guideline is “yet another example of the judiciary undermining human rights protection in the Maldives,” he said. The charges relate to a report the HRCM had submitted to the Universal Periodic Review, a process that studies the human rights record of all 193 UN member states with the aim of supporting and expanding the protection of human rights. The apex court said the report was biased and undermined judicial independence and the Maldives constitution. The Supreme Court judges, in fact, did take issue with the substance of the report, and also censured the HRCM for basing its assessment of the judiciary on reports written by Knaul, the International Commission of Jurists and advocacy group Transparency Maldives. Then- Chief Justice Ahmed Faiz, in September last year, suggested the HRCM should not cite Knaul as the judiciary had rejected her 2013 report on the judiciary. The Supreme Court verdict, delivered eight months after the charges were first pressed, comes as the parliament prepares to appoint three new members to the HRCM as the five-year terms of three members are due to expire in August and September. President Abdulla Yameen has nominated a former ruling party MP, the wife of a current ruling party MP and a senior official at the gender ministry for the soon to be vacant seats. 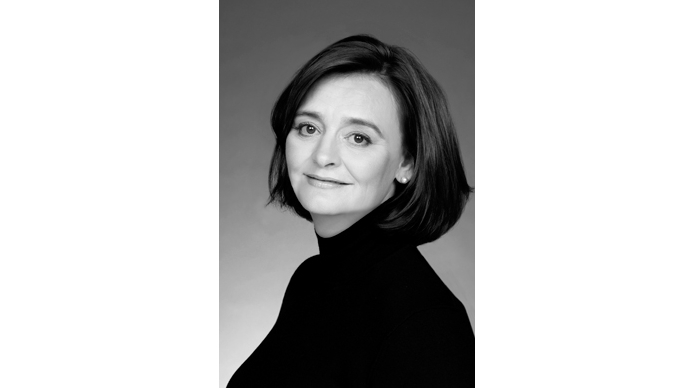 The government has meanwhile hired a law firm owned by Cherie Blair, the wife of UK’s former prime minister Tony Blair, to “strengthen the legislative framework of the government.” Omnia Strategy also specializes in public relations. The foreign ministry declined to reveal the cost and length of the contract or the details of Omnia Strategy’s work in the Maldives. In addition to providing legal counsel, the company specializes in public relations. The firm advises the governments of oil-rich Gabon and Kazakhstan. Gabon’s president, Ali Bongo Ondimba, was elected in 2009, after his father who ruled over the country for 42 years died in 2009. The UK’s Telegraph in March 2014 said Blair employs around 50 staff with a yearly wage bill of over US$ 3.5 million. The firm’s appointment comes amidst growing international criticism of the Maldives government over the imprisonment of politicians, including ex-president Mohamed Nasheed. The European Union parliament and US Senators John McCain and Jack Reed have called for Nasheed’s immediate release, while Canada on Tuesday said the deteriorating rights situation in the Maldives must be discussed at the Commonwealth’s Ministerial Action Group (CMAG). Nasheed has also appointed high-profile international lawyers consisting of Amal Clooney, founder of Freedom Now Jared Genser and UN rights chief on counter-terrorism Ben Emmerson. Former President Mohamed Waheed employed Baroness Scotland for legal advice concerning the Maldives’ suspension from the Commonwealth Ministerial Action Group (CMAG). State auditors discovered she was paid £50,000 without signing a formal agreement in addition to a consultancy fee of £75,000 (MVR 1.81 million) agreed upon in the ToR. Former President Maumoon Abdul Gayoom employed UK PR firm Hill and Knowlton during the pro-democracy protests of the mid 2000s and reportedly paid the firm US$ 800,000 in a three year period. The ministry of foreign affairs has recalled today the Maldivian high commissioner to Malaysia, who is reported to be a close associate of the jailed ex-defence minister Mohamed Nazim. FM Dunya sent letter of recall to HCner in Malaysia Mr Fayaz this morning. Wishes to see more development in Maldives-Malaysia ties. Hours later, Fayaz announced his resignation from the foreign service on Twitter. Speaking to CNM, Fayaz said he was unable to continue living in Malaysia any longer for personal reasons. Fayaz was the deputy minister of transport and communication during the controversial transfer of power in February 2012. He then served as minister of state for home affairs and was appointed as the high commissioner to Malaysia in May 2014. Nazim was sentenced to 11 years in jail on weapons smuggling charges. The police had found a pistol and three bullets during a midnight raid on January 18. President Abdulla Yameen dismissed Nazim from the cabinet two days later, and he was arrested on February 10 on charges of treason. Citing documents allegedly found in a pen drive with the weapons, police said Nazim had planned to attack the president, tourism minister Ahmed Adeeb and police chief Hussein Waheed. In court, Nazim said the weapons were planted in his bedroom by rogue police officers on the tourism minister’s orders. The ex-defence minister said Adeeb bore a grudge against him after he lodged a complaint with the president on masked men, reported to be police officers, cutting down all of Malé City’s Areca palms on Adeeb’s orders last year. The media was barred from the hearing where state prosecutors revealed the documents from the pen drive. The leaked documents purportedly showed Nazim was planning to secure weapons from the state armoury to assassinate president Yameen. Fayaz was to get support from the Thailand army “if necessary” to help Nazim assume the presidency. Nazim’s lawyers, however, slammed Vaguthu for “blatantly false information” and categorically denied taking photos of the documents. They noted that court officers confiscated phones and searched lawyers with a hand-held metal detector before they entered the courtroom. The documents also contained a chart showing the Yameen administration divided into factions led respectively by the president and Nazim. Nazim’s “team” included Fayaz, the Vice President Dr Mohamed Jameel Ahmed, the Maldives National Defence Force (MNDF), Home Minister Umar Naseer, former Police Commissioner and current JP MP Abdulla Riyaz, former State Trading Organisation (STO) Managing Director Adam Azim (Nazim’s brother), PPM MP Hussain Manik Dhon Manik, PPM MP Ahmed Nazim, Youth Minister Mohamed Maleeh Jamal, and President’s Office Minister Abdulla Ameen. The president last week dismissed Maleeh without any explanation. Following Nazim’s dismissal, the military dismissed Major Ahmed Faisal and Captain Ibrahim Naeem from the posts of head of the Special Protection Group (SPG) and Head of Armoury, respectively. Letters from the government to stakeholders in India as well as the UN High Commissioner for Human Rights concerning the trial and conviction of former President Mohamed Nasheed contains several demonstrably false claims. An open letter dated March 19 – sent from the Maldives High Commission in India to major political actors – along with a letter from Foreign Minister Dunya Maumoon to the UN High Commissioner for Human Rights were recently leaked online and reported on by local media. The claim is false as Nasheed was arrested around 2:30pm on February 22 and brought to the Criminal Court for the first hearing of the terrorism trial at 4:00pm the next day, where charges were read out and he was given three days to appoint lawyers. Nasheed’s lawyers held a press conference at noon on February 23, announcing they were unable to represent the opposition leader, as the Criminal Court had told them they should have registered two days in advance despite being unaware of the trial until the opposition leader’s arrest the previous day. Moreover, while remand hearings take place within 24 hours of an arrest, Nasheed was brought to court after the 24-hour period lapsed. At the same hearing, judges ruled Nasheed be held in a location determined by the Home Ministry until the end of the trial. He was subsequently held in police custody at the Dhoonidhoo Island Detention Center. But Nasheed’s defence team quit half-way through the trial after they were unable to view documentary evidence submitted by the state as some evidence CDs were left blank or were dysfunctional. “The court repeatedly reminded former President Nasheed to engage legal counsel or the bench would consider that he waived his right to counsel, but advised former President Nasheed that he could engage counsel at any time,” the High Commission’s letter stated. However, in subsequent hearings, the court refused Nasheed’s repeated request for between ten and 15 days to appoint new counsel and concluded proceedings four days later. Meanwhile, a letter from Foreign Minister Dunya Maumoon to UN High Commissioner for Human Rights Zeid Ra’ad Al Hussein was also leaked online. Asserting the independence of the Prosecutor General and judiciary, Dunya insisted that criminal proceedings against Nasheed were fair, transparent and in accordance with the Constitution. “I can therefore assure Your Excellency that the independence of the judiciary and the fairness of due legal process remain as sacrosanct in the case against [Nasheed] as they would for any other Maldivian citizen,” the letter stated. Dunya also falsely claimed that Nasheed was presented before the Criminal Court on February 23 for a remand hearing. “His legal team was not present at this hearing because none of them had registered their right of audience for the case,” the letter stated. Dunya said Nasheed had called two of the presiding judges and the PG as witnesses for the defence. “Mr Nasheed’s request was naturally overruled by the bench on the basis that these officials could not be called as witnesses on evidentiary rules of relevancy and probative value,” the letter stated. The PG, and two of the three presiding judges were at Judge Abdulla’s home at the time of his arrest and had testified in a 2012 Human Rights Commission of the Maldives investigation. The PG’s case is built on the HRCM investigation. 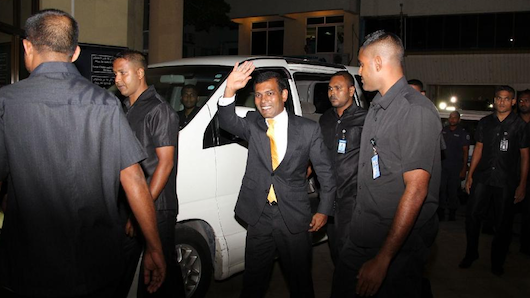 The government meanwhile denied a “conspiracy to unwarrantedly convict” Nasheed to prevent the opposition leader from contesting the 2018 presidential election. In the open letter to stakeholders in India, the government also assured that Nasheed was “afforded a free and fair trial in full accordance with the Constitution and laws” contrary to “speculation and misrepresentation of facts” by the opposition Maldivian Democratic Party (MDP). The administration of President Abdulla Yameen could “neither interfere nor influence” any decision by the independent Prosecutor General or the judiciary, it added. “The independence of the judiciary and the fairness of due legal process have been as sacrosanct in the case against former President Nasheed as they would have been for any other Maldivian citizen. The Maldives government will continue to ensure the inviolability of a citizen’s right to a fair trial, insulated from political interference,” reads the letter.